Ethics review of research involving humans is intended to protect human dignity by balancing harms and benefits. The foci and methods used in reviews vary nationally, but tend, as in Canada, to address core principles including free and informed consent, privacy and confidentiality, inclusiveness and fairness, and the rights of dependent subjects. Under examination in relation to the policy that governs research ethics in Canada, the Tri-Council Policy Statement (TCPS, 2005), these principles admit numerous exceptions, a fact that, as shown by a study reported here, is better understood by those actually engaged in research than those who are not. The implications of these findings, and the specific priorities of non- Canadian researchers (especially those in developing nations), are described and discussed. The objections of social sciences and humanities researchers to aspects of the Canada’s TCPS, and to some practices of REBs in implementing it, do not question the importance of ethical treatment of subjects. 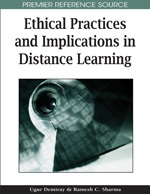 There are two issues: how distance research, as a form of social science inquiry, may adhere to high ethical standards, given the special circumstances under which that research is often conducted; and how the approval process for distance research might be revised–made “proportionate” –to the low levels of risk that usually accompany these proposals (TCPS, 2005, p. 1.7). The debate about core ethical principles and proportionate review of proposals is not new. Globally, ethics in human subjects’ research has been the subject of increasingly heated debate for some time, in North America even appearing in the popular press. Beck and Kaufman (1994) some time ago identified various ethical “pitfalls” that could entrap researchers; in 2002, Begley (2002) described, in The Wall Street Journal, a growing “rift” between researchers and ethicists; more recently, others (Dohy, 2004; Elliott & Lemmens, 2005; Lemonick & Goldstein, 2002; Munro, 2004) have publicly raised questions about doubtful practices such as paid ethics review in clinical trials, while bloggers have debated the impartiality of online product reviews (Lasica, 2005).